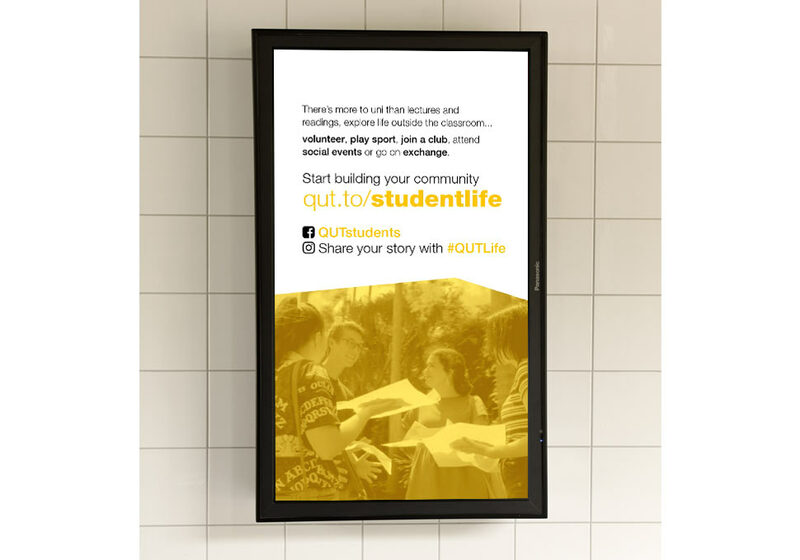 HiQ represents a new approach for QUT as the central point for student enquiries (from April 2017). 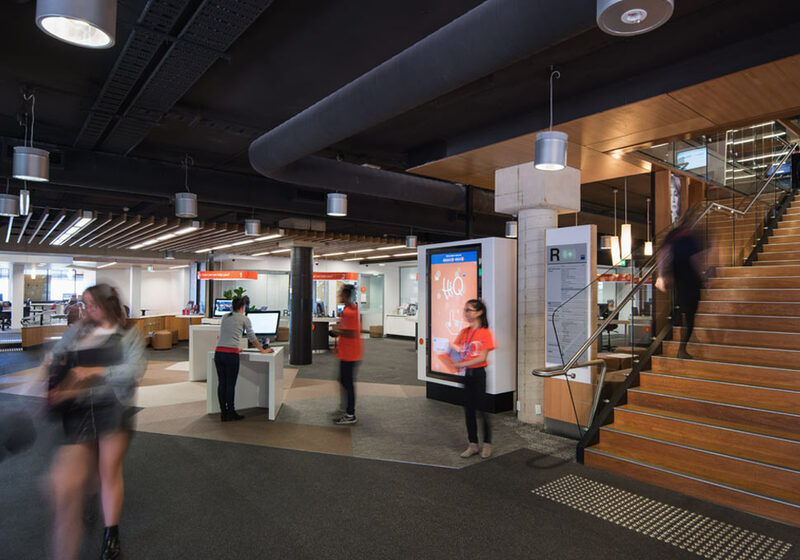 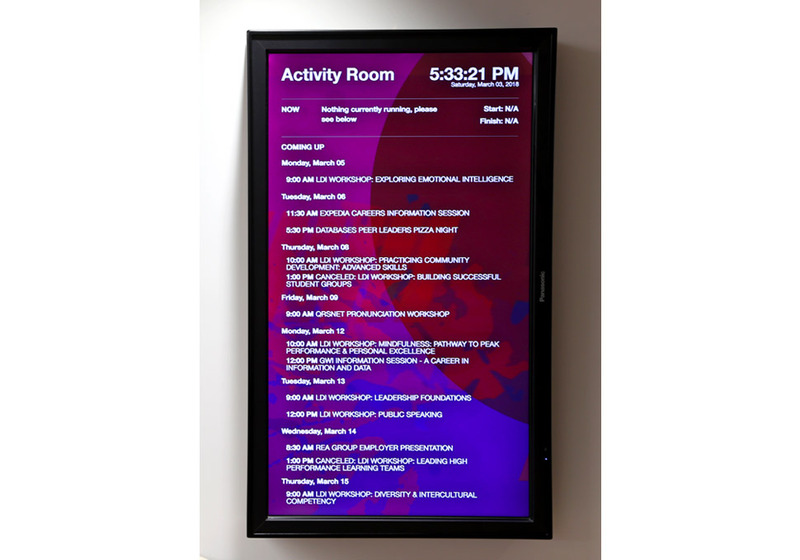 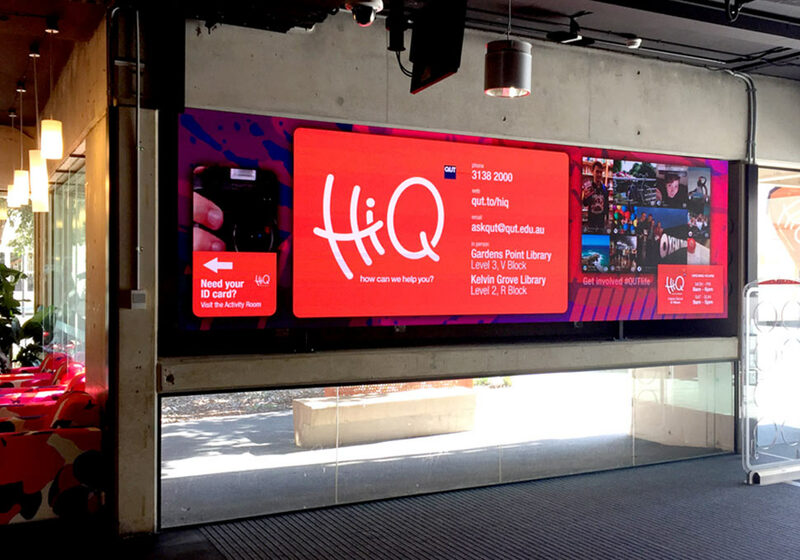 As part of the HiQ project, a number of large screens and digital walls were installed to provide support, deliver services and showcase student generated content. 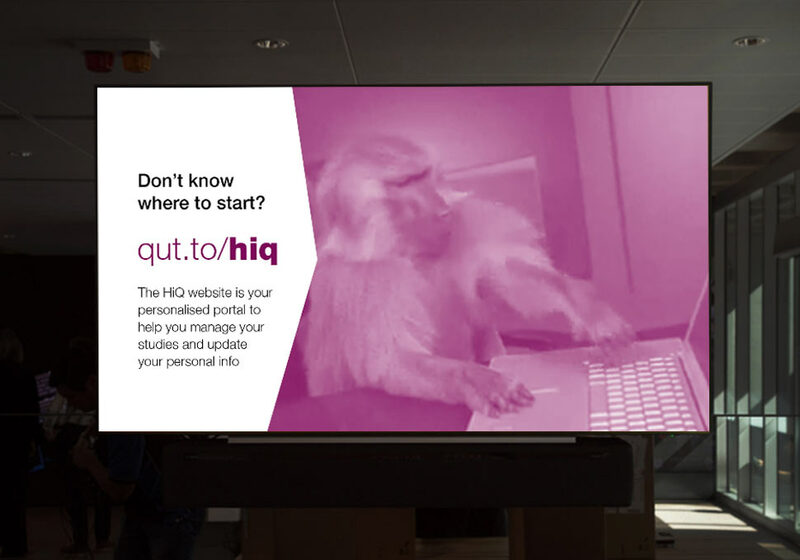 As Digital Media Officer - a new role created when HiQ launched - I was responsible for all elements of HiQ's fleet of screens. 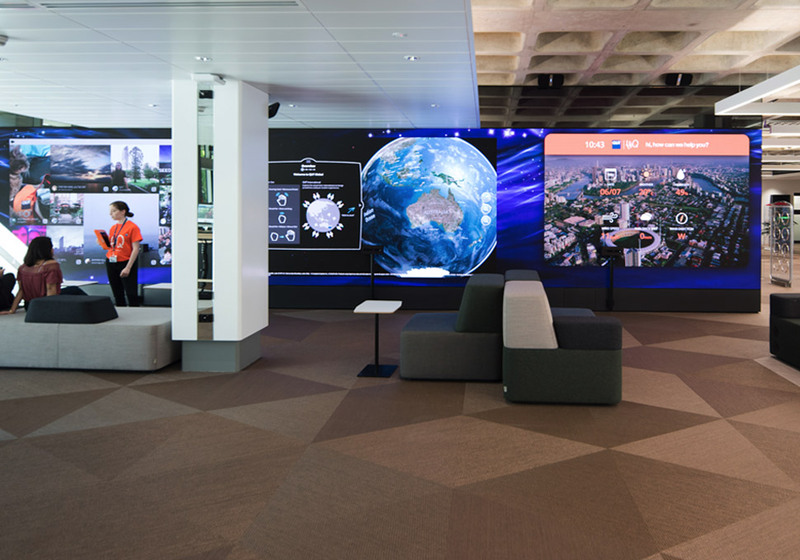 QUT students now have the most advanced and interactive digital campus experience in Australia. 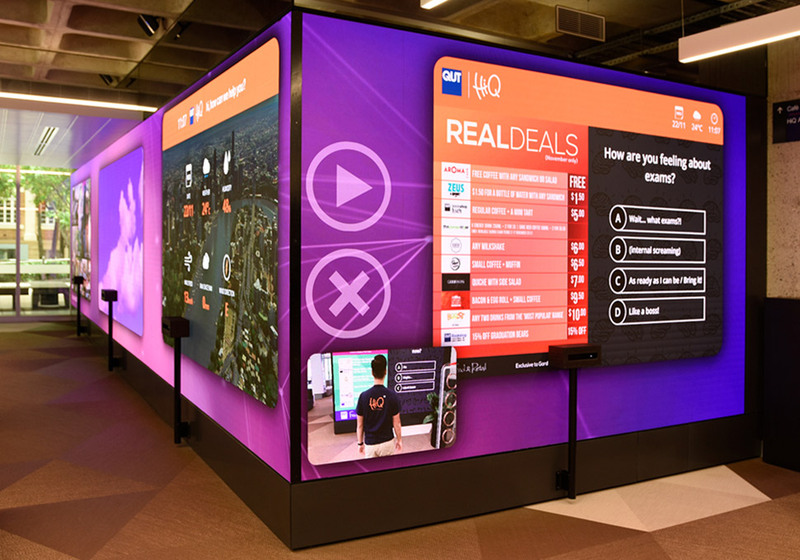 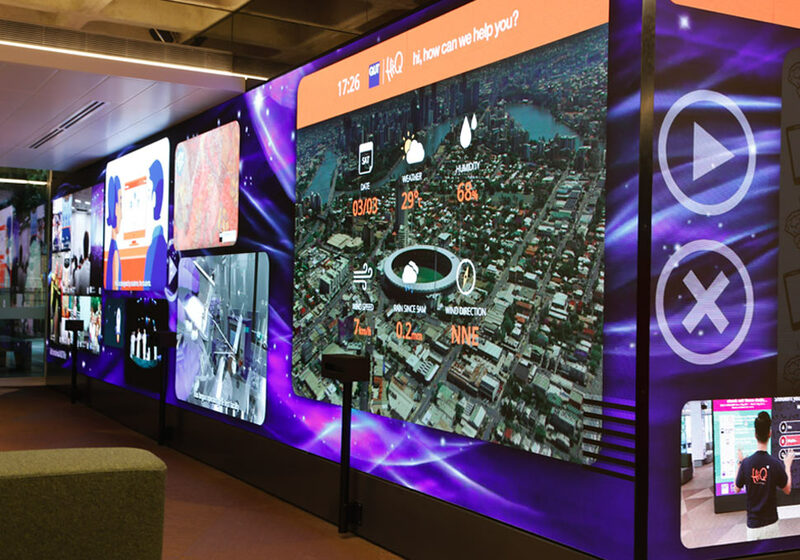 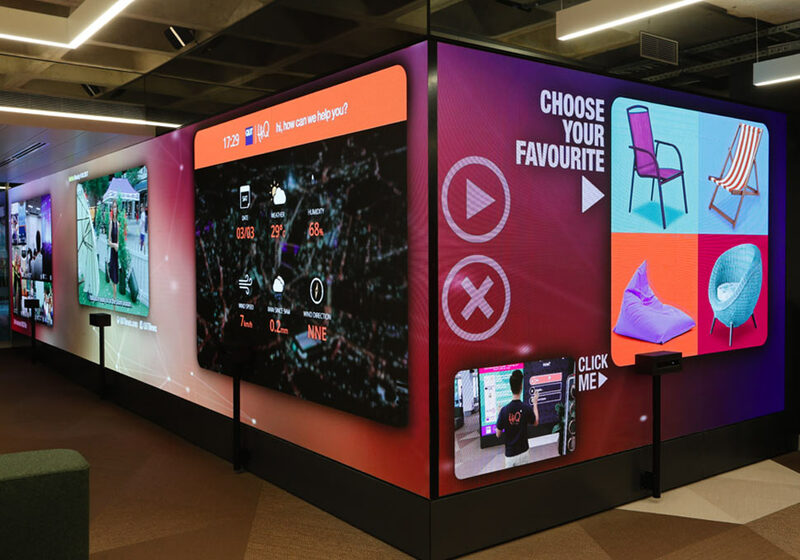 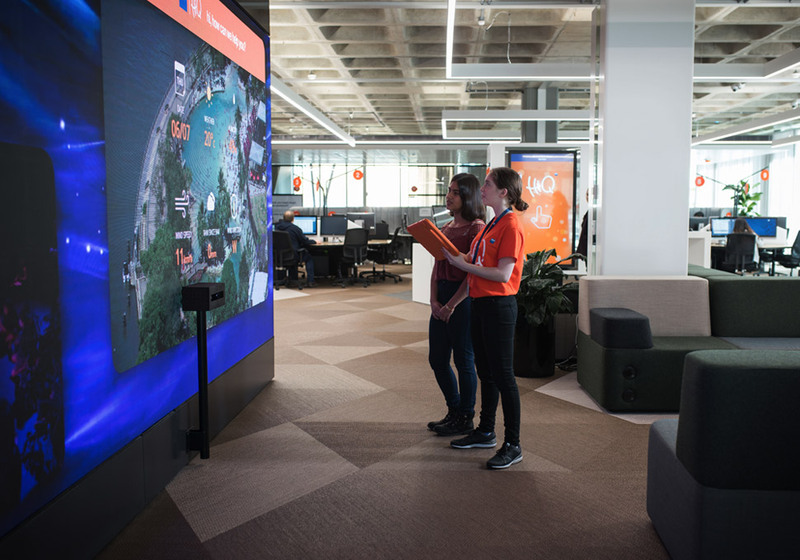 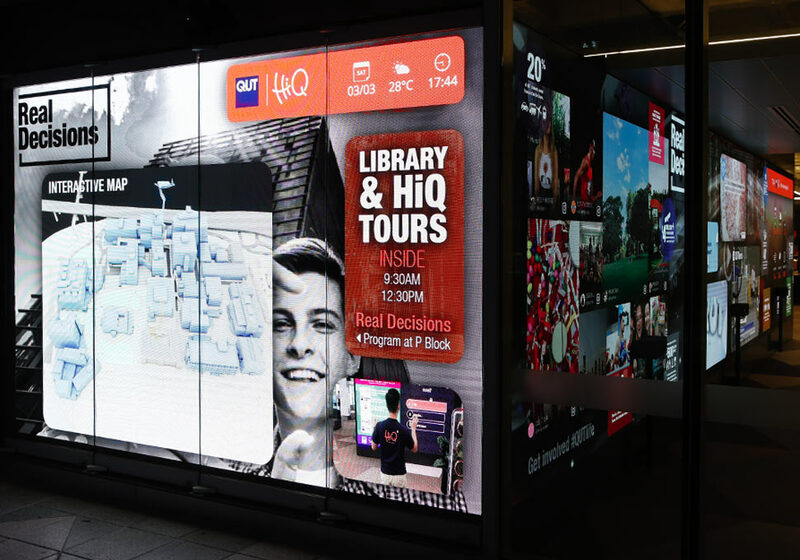 The 17.5m interactive digital wall at Gardens Point (42m2) is the centrepiece of HiQ and uses Kinect cameras to deliver gesture and swipe interactivity. 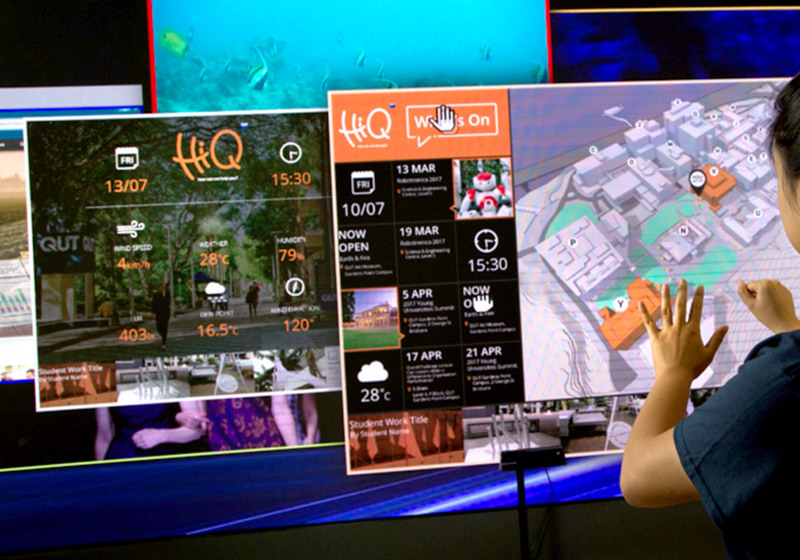 Powered by Videro, all HiQ iPads interact with screens in the space, and can send content directly to them. 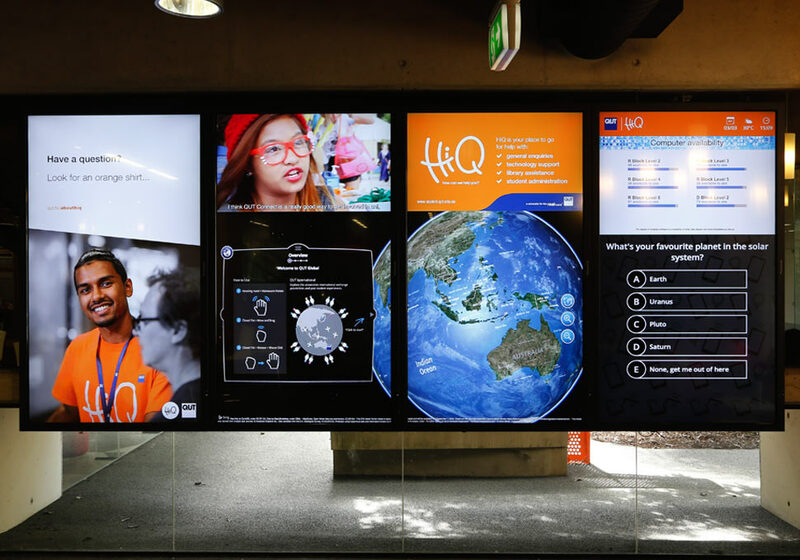 Another LED wall and touch screen wall were also installed at HiQ Kelvin Grove to enhance the student experience. 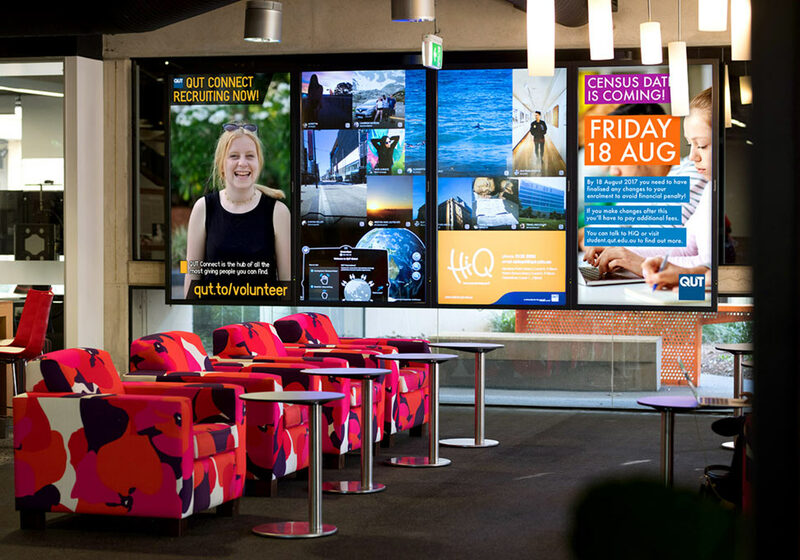 All digital walls are complemented by self-service touch screens at each service point. 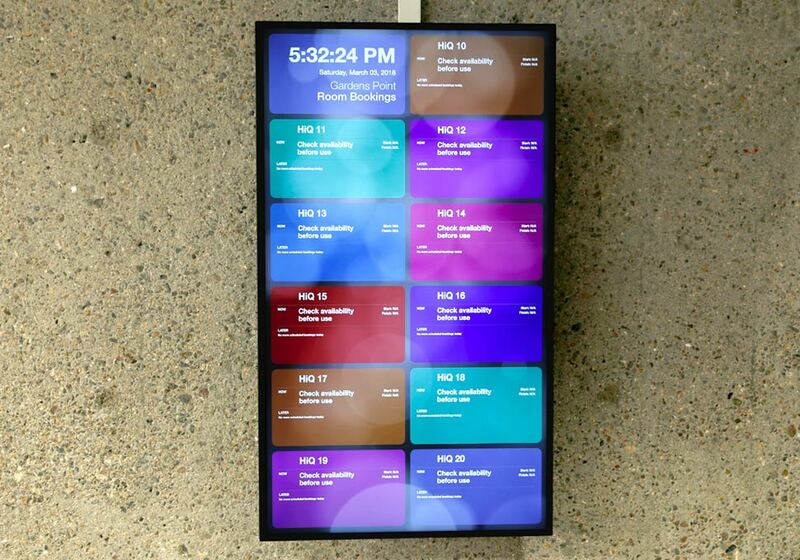 As the sole point of contact for this cutting edge technology I was tasked with implementation, policy, governance, training, correspondence with vendors, troubleshooting beta software, accessibility, information architecture and infrastructure, intellectual property and copyright issues, building resources for the university community, plus content creation. 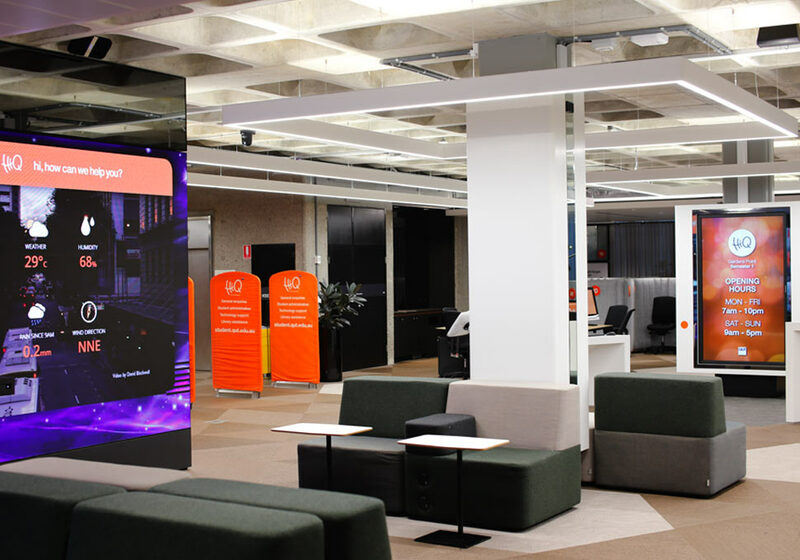 I worked directly with vendors Videro and Corporate Initiatives to deliver this digital service at the university, and I built close working relationships with Johannes Büld (CEO Videro) and Warren Bulman (CEO Corporate Initiatives) and their teams. 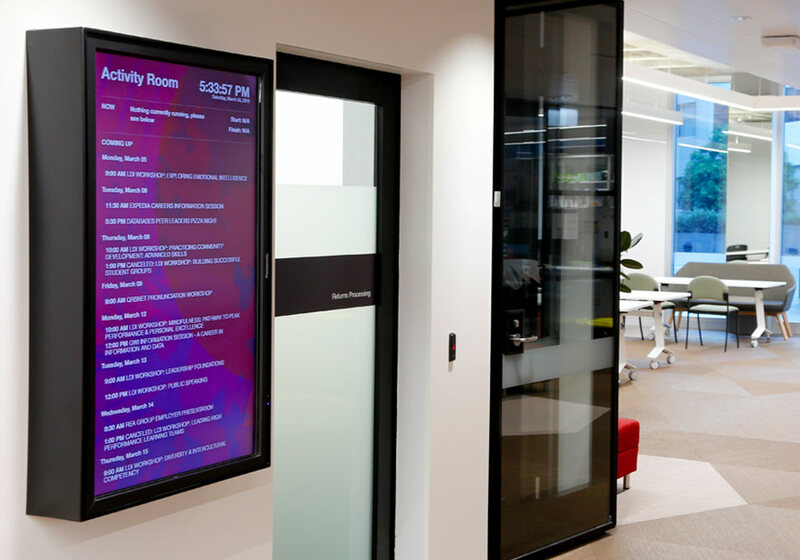 Watch the videos below to see the screens being used, or visit Interactive Programs for more examples of my work, including iPads sending content directly screens. 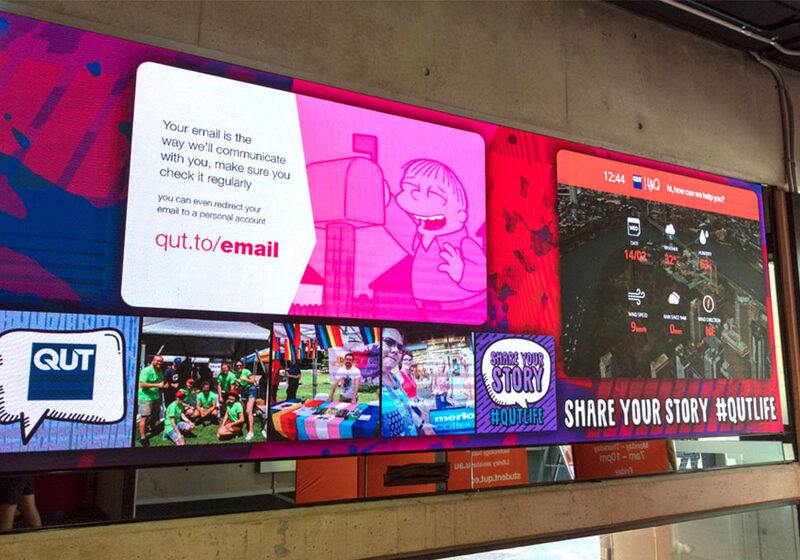 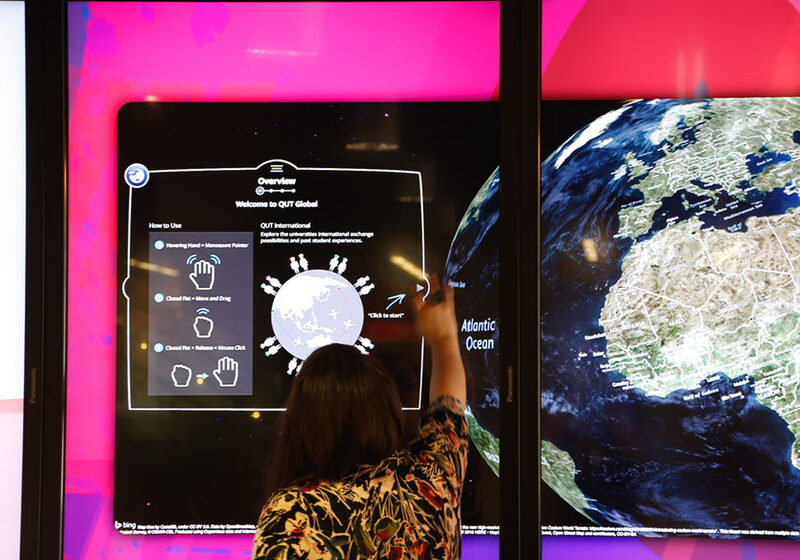 The fleet includes an interactive LED wall at Gardens Point (the largest interactive screen in the Southern Hemisphere), an LED wall at Kelvin Grove, a touch screen wall at Kelvin Grove, plus 33 individual touch screens and 28 iPads across both campuses. 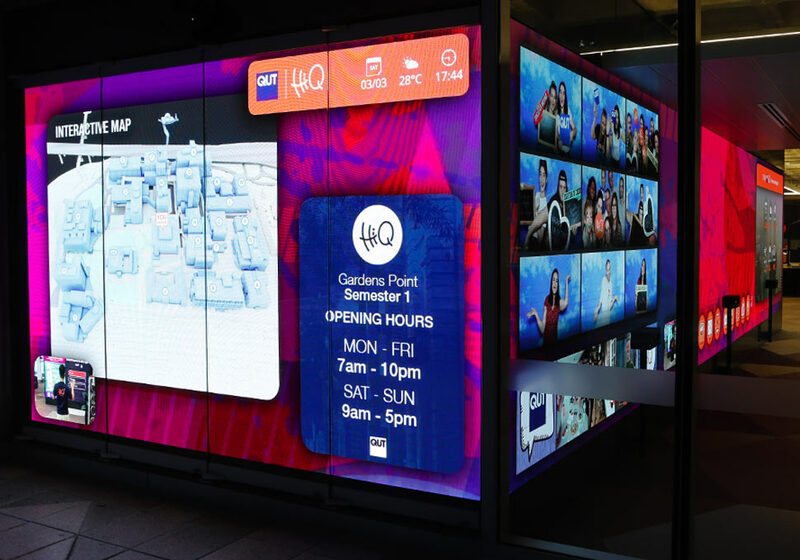 QUT press release Australia-first digital hub to transform QUT student experience.